The five shareholders of the two utilities include: the Municipality of Clarington, which approved the proposed merger on June 11; the Town of Ajax, which approved the proposed merger on June 18; and, the City of Belleville, the Town of Whitby, the City of Pickering, which each approved the proposed merger on June 25. 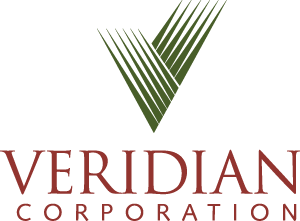 “We are very pleased that each of our shareholders, after a comprehensive and extensive analysis process, see the value of and have approved a merger between Veridian and Whitby Hydro. We firmly believe that combining our utilities positions us to deliver stable, reliable, safe, cost-effective energy services across the region,” said Adrian Foster, Chair of Veridian’s Board of Directors. With the approval of municipal shareholders secured, Veridian, Whitby Hydro and their shareholders will now enter into a merger agreement and submit a Mergers, Acquisitions, Amalgamations and Divestitures (MAADs) application to the OEB for regulatory review and approval. The OEB process reviews many aspects of the merger, including a “No Harm Test”, that ensures the proposed merger does not have an adverse effect on ratepayers. A merger would only take place following OEB approval and assuming normal legal conditions set out in the agreement have been met. “We are excited to mark another milestone in the merger process as we work toward delivering greater benefits for our customers and shareholders. The energy market is constantly evolving and the creation of a new more efficient and better-resourced company as a result of the merger will ensure customers are well served well into the future and municipal shareholders continue to benefit from their investments,” said Patrick McNeil, Chair of Whitby Hydro’s Board of Directors. The merger will offer Veridian and Whitby Hydro customers greater rate stability, along with protection from potential future rate increases. Customers can also expect access to greater resources during major outage events, 24/7 control room capabilities across the entire service area, and better overall customer experience as the merged company leverages the best practices of both utilities. The merger offers Veridian and Whitby Hydro shareholders stronger, more sustainable cash flow in interest and dividends and is expected to produce about $90 million in savings over the next 17 years. Municipal shareholders will receive increased dividends, which will offset tax increases and can be reinvested in local communities.